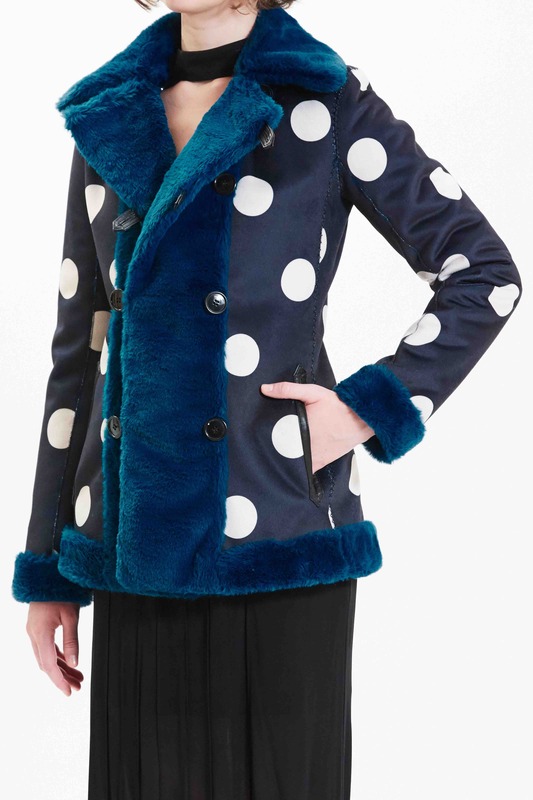 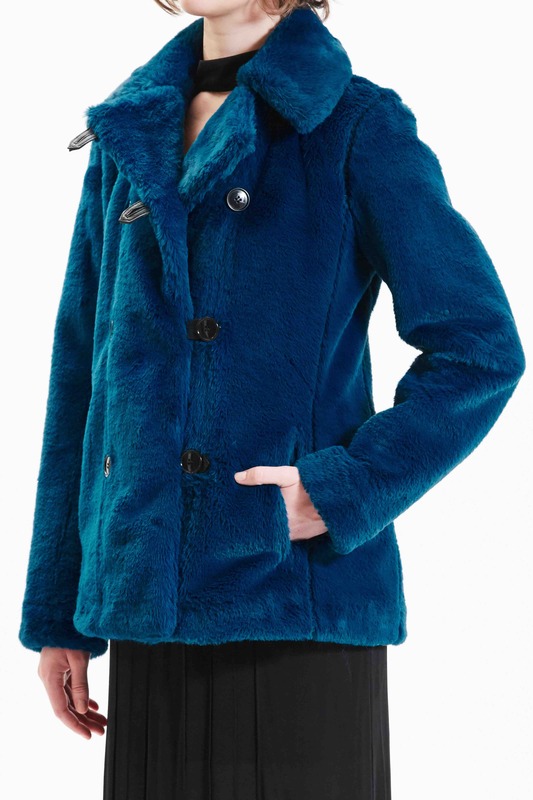 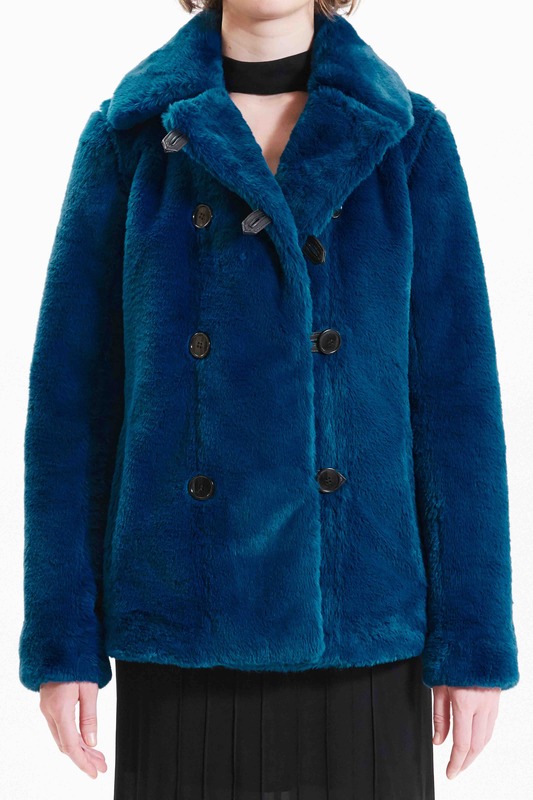 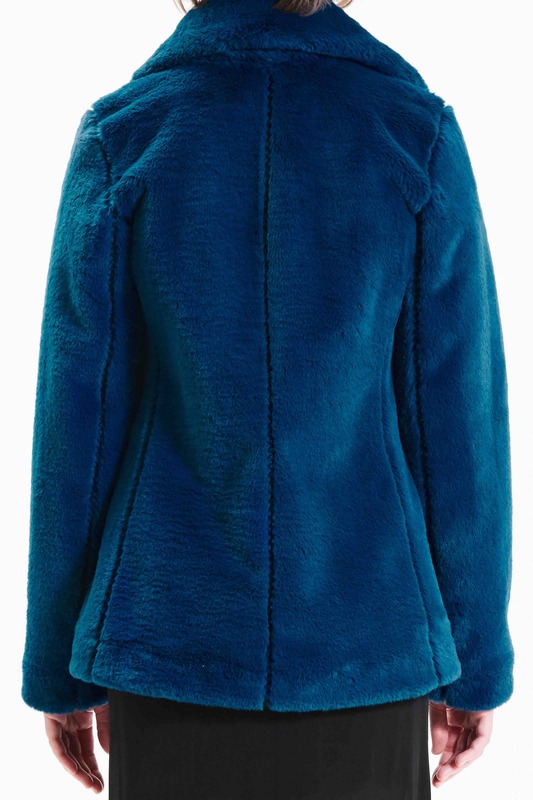 Colette is an Electric Blue sheared mînque Peacoat, but it's not just any other coat, it has two coats in one! 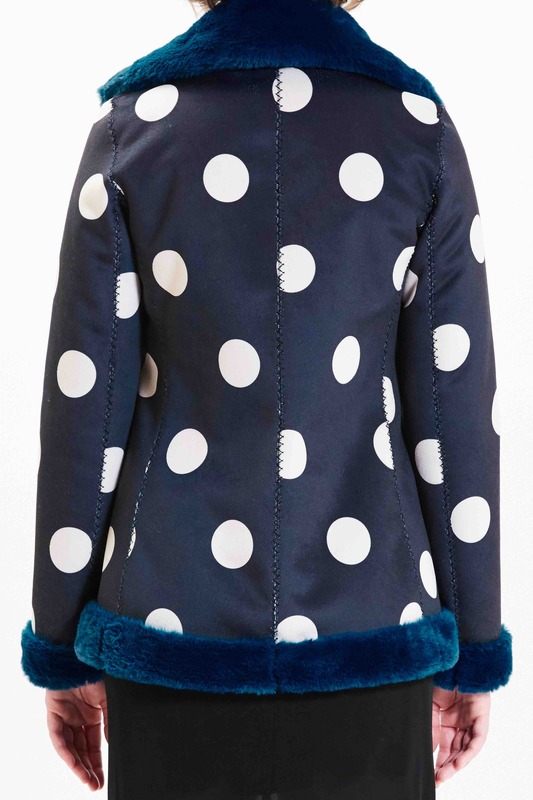 It's reversible to reveal the navy Polka Dot ultrasuede underneath. 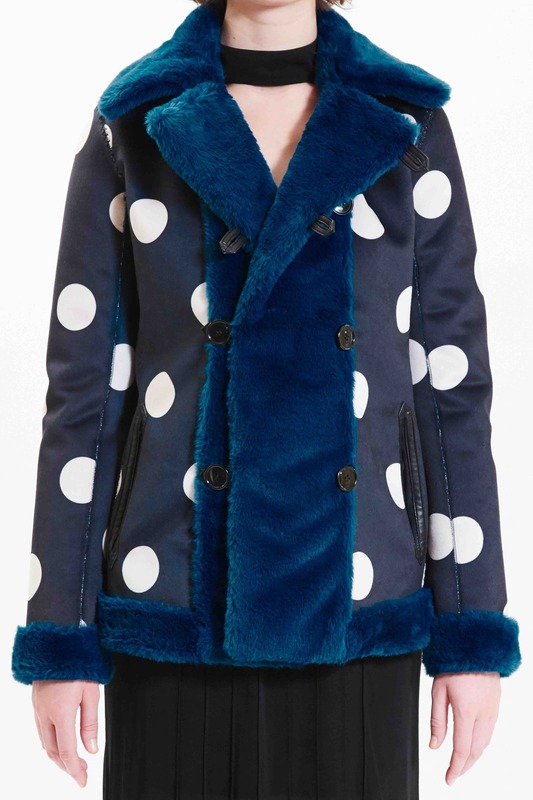 Wearing this coat will definitely turn some heads when you're walking along the streets, what more can you ask for in a coat?